Choosing the proper platform for your online business among tons of eCommerce market options offered is always a challenge. There is never absolute “top” or “best”, everything is individual. The most efficient way to find the eCommerce solution, that will meet your aims and correspond to your experience is simply to match the key features and functions of platforms, and then come up with the decision. Today, we’ll compare Wix vs Shopify - two popular user-friendly hosted shopping carts and uncover their “good” and “bad” sides. Sit tight, we're starting hot rivalry! Wix vs Shopify, who’s better? Apparently, it’s worth to mention at the beginning of our Wix vs Shopify review that both platforms are hosted easy-to-use solutions. They can boast of modern and fancy look along with drag-and-drop interfaces. It makes selling online for non-tech users quick and comfortable. Comparing Shopify vs Wix, one must remember the main difference that lies down in the background of platforms. What is this all about? Wix is the website builder, whose primary aim is to build and maintain professionally-looking and beautifully-designed sites. This could explain why it has quite limited eCommerce functionality comparing to world’s adorable cart - Shopify. Wix is a perfect match for artists, restaurants or small businesses, offering limited assortment of products. Just in few clicks you can create attractive website. To launch your personal e-store, you need to use any of apps available on Wix marketplace, enabling you to sell 100-500 items without coding expertise. In its turn, Shopify is all eCommerce, it was designed to build and run online stores. This platform is among world's most loved and used choices, and it’s not ungrounded. Shopify offers top-notch tools and features, it is highly SEO optimized and mobile responsive, not mentioning user-friendliness and nice look. Shopify is an all-inclusive solution for those looking to build a store from scratch in few clicks and keep it customer-engaged thanks to advanced functionality. We should mention that each Shopify’s plan allows you to sell unlimited number of products. It could contribute to solving the question “Wix or Shopify?. Shopify vs Wix, what’s offered? To help you make the right choice we’ll do our best to provide you with a worthy research of what these two shopping carts can give you. As previously stated, both shopping carts are hosted solutions. But comparing customization options, Shopify can offer you much more. For now, there is little you can edit on Wix site if you need to change something. Shopify vs Wix gives you full control over HTML and CSS of your site, you’re able to change it whatever you wish. This leads to a conclusion that Shopify is more flexible and customizable than Wix. Now let’s compare Wix vs Shopify, regarding their level of SEO optimization. There is no reason to remind you how crucial it is to appear on SERP and get high Google rankings. Taking Wix or Shopify, whatever, one must admit that both platforms offer basic SEO tools to be visible in Google, including customization of page titles, meta descriptions, image alt texts. Shopify can also offer you amazing SEO apps - free and paid plugins, that you can find on official marketplace, designed to boost your appearance in search engines. There are no such add-ons for your Wix store. 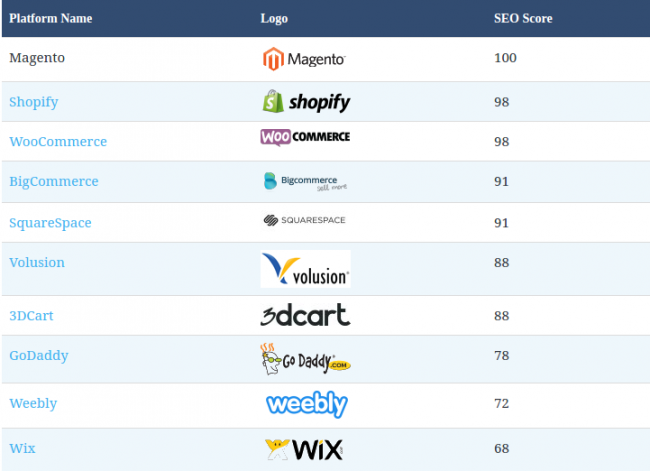 Continuing our Wix vs Shopify review we cannot misregard that according to the study by ecommerce-platforms.com, Shopify ranks much higher than Wix in terms of SEO optimization. Shopify vs Wix scores 98 vs 68 out of 100. The reason for such a difference between platforms could be explained by AJAX technology on which Wix is running websites. Search engine bots usually experience difficulties in crawling such pages comparing to those written in HTML and CSS. Not insisting, but suggesting to choose Shopify if you’re still taking a decision whether Wix or Shopify. There are few more unique possibilities of Shopify that should be mentioned in our Wix vs Shopify review. This robust cart has the great implementation called POS system (point-of-sale). It enables you to manage all together your offline and online stores and accept payments if you’re connected to PayPal. Very few platforms can boast of such a top-notch functionality. Shopify can be proud of many integrations. Among most popular is partnership with Pinterest (all products pinned from Shopify will become Buyable Pins automatically) and Facebook (customers can browse your products and buy them in Shop section). Another bonus offered by Shopify is recently added long-awaited integration with Amazon. Now you can add world’s biggest largest marketplace as a sales channel and sell directly to Amazon from Shopify admin panel. Isn’t it awesome? What is irreplaceable for shopping carts’ industry is Shopify’s “Buy Button”, the easiest way to add eCommerce functionality to your site. “Buy Button” gives you exclusive possibility to sell not only via this robust platform, but connect to websites built with WordPress, Joomla, Drupal, Squarespace and even Wix. Regarding Wix and Shopify we couldn't but mention extensive blogging possibilities, offered by both platforms. Experienced marketers and store owners never deny the benefits that could be gained by qualitative blog, including raise of customer engagement and SERP. To be honest, comparing Shopify vs Wix pricing, we should admit that Shopify is considerably expensive. The main reason is that it provides you with more advanced and comprehensive eCommerce functionality. Shopify monthly plan price starts from $29. There is also lower-priced plan offer by Shopify, called Shopify Lite. You can subscribe for it when you already have a site or store on other platform. Wix offers more plans, but not all of them allow you to build e-store, this option is available only in eCommerce and VIP plans. The price starts from $17. The difference between monthly plans of Wix vs Shopify pricing is noticeable. Shopify’s Basic plan is more expensive than Wix’s VIP. The point is that Shopify’s cheapest plan offers more effective tools to build a progressive eCommerce store, than the most expensive Wix plan. Shopify is a lucky ticket it terms of versatility of payment gateways. It allows you to accept payments almost in all existing currencies and fro anywhere. There are more than 70 different payments gateways, including most popular method - PayPal. You need to know that transactions via Shopify payment system are free of charge, but you’ll pay up to 2% using external gateways e.g. PayPal. Note that your monthly fees will grow proportionally to revenue. Wix vs Shopify payment methods look little poor and limited. But no worries, you’ll have PayPal and Authorize.net. The last thing we talk about in this Wix vs Shopify review is support, of course. Wix vs Shopify has fewer to offer here, as it gives you very limited options. For instance, if you need your issues to be solved you can post your questions on Wix forum. You can also use email or phone support and request a callback, but only during opening hours (Monday-Thursday from 6 am to 5 pm). For this moment, Wix doesn’t offer live chats. Shopify vs Wix is the absolute leader in terms of support, offering merchants 24/7 assistance via multiple channels. Shopify is reachable through phone, email, chats, forums, social media whenever you need. We can’t blame Wix for the lack of support. We need to say that both platforms provide users with explanation guides, showing newbies how to operate a store using Wix or Shopify. Though sometimes starters need more assistance. 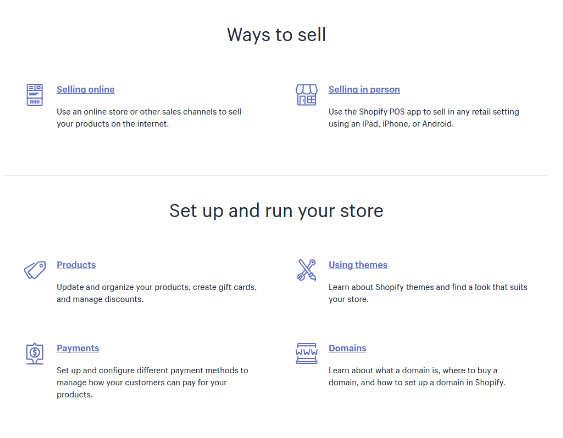 And here Shopify’s help center is a good example to many platforms, offering solid documentation and instructions on how to sell, run web store and so on. Summing up key moments mentioned in our Wix vs Shopify review, it’s worth to repeat that Wix will amazingly work for creative minds and small businesses with not big assortment. And Shopify stands out being perfect choice for both little-to-large businesses that aim to conquer the market with top-notch tools. Both platforms are easy to start and run, what makes them a good choice for those just entering eCommerce industry. Shopify comes up to be a bit more flexible and customizable solution with reacher set of tools, one just can’t deny it. Doesn’t it provoke a wish to switch from Wix to Shopify? If you are in search of a platform that can intentionally scale to correspond your needs and fit your goals - Shopify is definitely what you need. Start up your eCommerce business with Free 14-days trial. If you are already using Wix or other shopping cart and want to migrate to Shopify, that’s not a problem. We have a pill to reveal you from headache. To facilitate database migration between platforms and help users to find the solutions that suit their goals, we designed a handy tool, that can migrate all your eCommerce data from your current store to a desirable one - it’s called Cart2Cart. This service supports 80+ shopping carts and offers you the largest available list of transferable entities. This service won’t affect your current store performance during replatforming and it will stay fully available to customers. If any issues occur, feel free to rely on 24/7 support staff. If you are satisfied with what you have, there is no reason to migrate from Wix to Shopify. But, if you are willing to have more advanced and complex store, that will bring you higher Google rankings and customer-engagement consequently, you’d better change Wix for Shopify. If you are ready to step into the niche of successful and profitable businessmen as soon as possible, try our Free Demo migration from Wix to Shopify here and now. 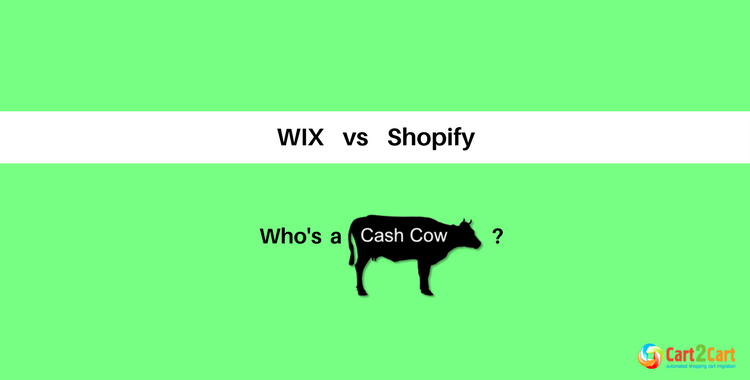 2 thoughts on "Wix vs Shopify. Who’s a cash cow 2017?" Hello there! Thank you for the commentary. Always happy to hear from you more!